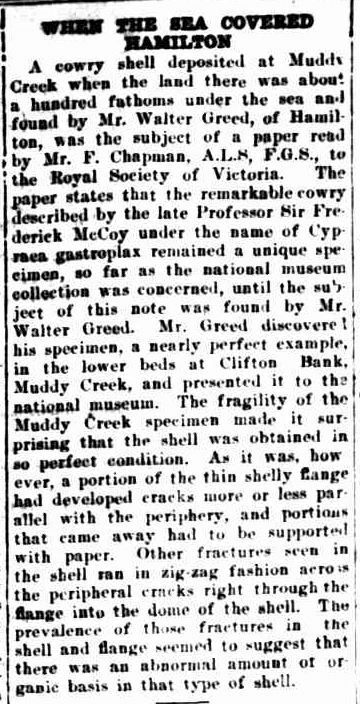 Since I have just written about the Reeds of Muddy Creek, I will continue the Muddy Creek theme for Trove Tuesday. Around 1931, Walter Greed of Hamilton discovered a cowry shell on the banks of Muddy Creek, near Hamilton and passed it on to the National Museum. Walter was the husband of Jessie Harman, daughter of Reuben Harman of Byaduk, and was a member of the Greed family, funeral directors of Hamilton. Maybe that doesn’t seem that unusual, but a cowry shell is a seashell and the nearest sea to Muddy Creek is around eighty kilometres away. The shell Walter found was a fossil from a time when the area surrounding Muddy Creek, including Hamilton, was one hundred fathoms under the sea. That is around 182 metres. Muddy Creek and the river it flows into, the Grange Burn, are well-known fossil sites, recorded in Australia’s Fossil Heritage: A Catalogue of Important Australian Fossil Sites. 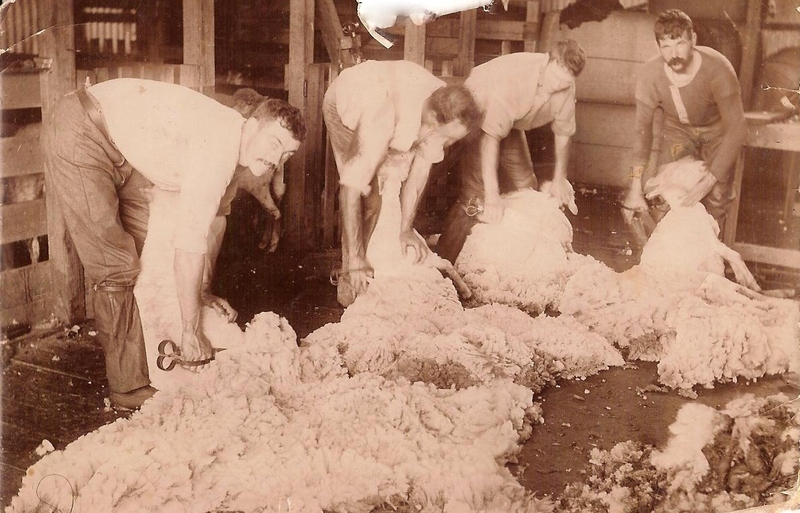 This entry was posted in Harman, Trove Tuesday, Western District History and tagged Greed, Hamilton, Harman, Muddy Creek. Bookmark the permalink.